Sunday Starling Service | Why watch wildlife? 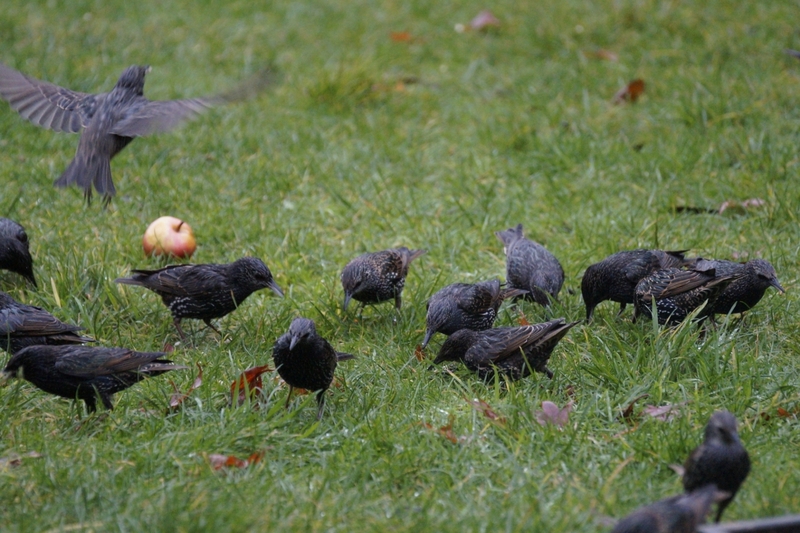 When I go out in the morning to put food down on the ground, there are usually at least half-a-dozen starlings hanging about in a nearby tree. But when I go back in, twenty to thirty birds appear immediately. This morning, I got a possible insight why. 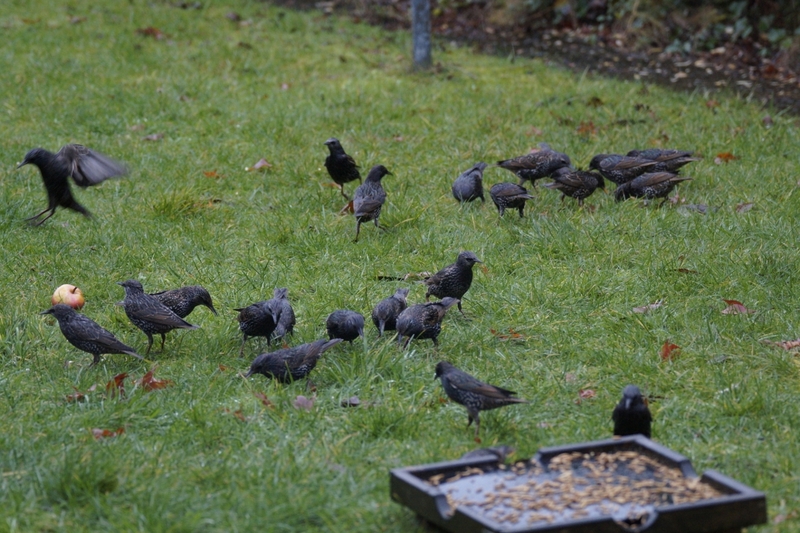 As soon as I emerged from the shed with the bucket of dried mealworms, a call went up from a couple of lurking starlings. A call that sounded a little like a car alarm, ‘wyu-wyu’. And it happened every time I emerged, every time I threw food down. It hadn’t happened before. 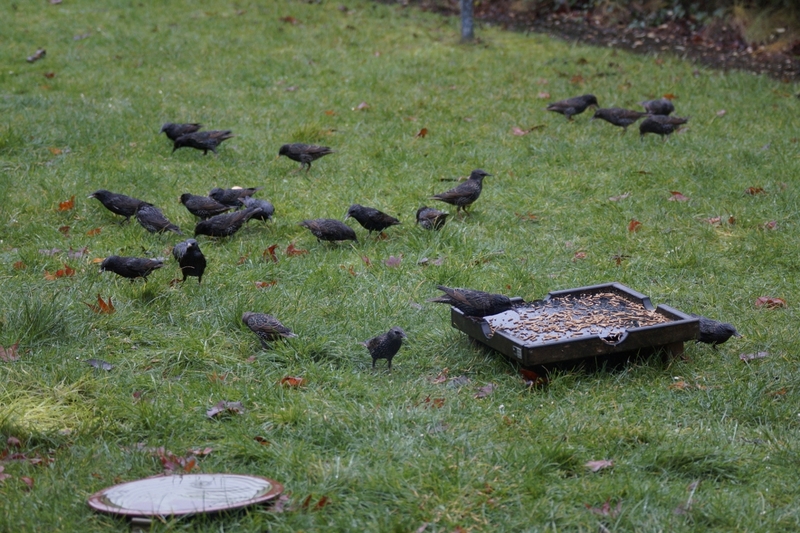 It’s fair to say that feeding all these birds costs a bit, and they are currently getting through massive amounts of food. But I’m happy to be supporting them through winter. Starlings are in decline, and I’m just glad we have a thriving population here. Long may it continue to flourish. 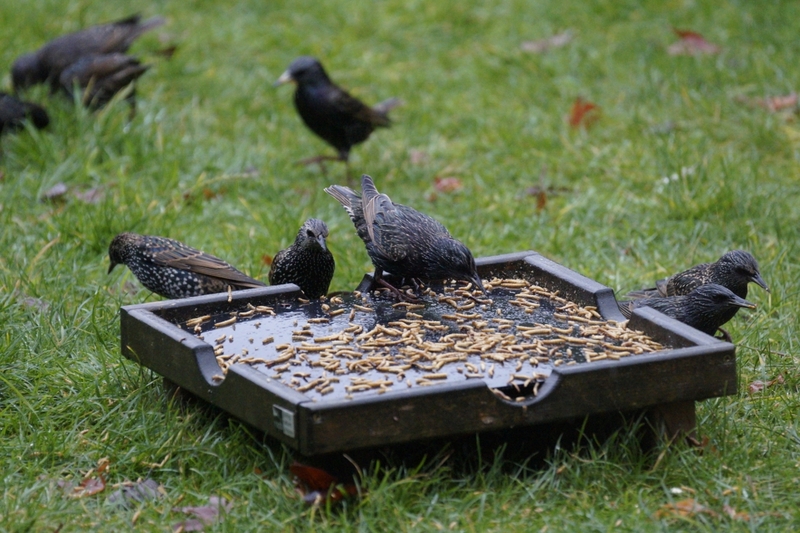 This entry was posted in Birds and tagged nature, starlings, wildlife, york. Bookmark the permalink. I’m glad the starlings have you. I just hope they appreciate me! Going away for a week so that’ll make the point. You’re doing a good job keep it up , I used to feed the crow’s where I worked it started with one or two then it increased eventually to about 30 or so and they started to recognise my car as I drove down the drive you could see them flying in.